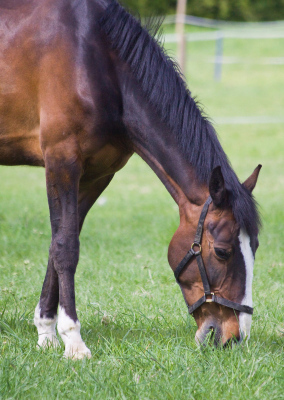 Liverpool Wood Pellets Horse Bedding is ideally suited to use on either concrete floors or rubber matting. Follow the instructions as above using 4 – 6 bags maximum. The next day after the horse has urinated and the bed has broken down a little more, you can add one or two more bags and again water these with a maximum of 3 litres of water per bag. If you like to have a deep bed with banks, you will need to follow the instructions as above and ONLY add more pellets a little at a time, perhaps 1 – 2 bags maximum. As these break down and begin to look like fine shavings, add another bag and again wait for this to break down. If you try to make a big bed with several bags straight away you won’t be able to get a fork through them and the pellets won’t break down as they are meant to do. Be patient and add them gradually.